Gabe Reynolds has spent his life immersed in golf. After twice earning All- State honors at Kingwood High School in Houston, he went on to win 4 tournaments as a college player on his way to earning his degree at Texas State University. Gabe played 7 years of full time professional golf on both the Adams Golf Tour and the Web.com Tour. His biggest professional highlight came in 2008 with a win in the San Antonio Open. Since 2010, Gabe has worked as a golf professional and instructor giving lessons to golfers of all skill levels. Gabe’s experience as a player has had a big influence on his philosophy as a teacher. He believes that just as there are many shapes and styles of great golf swings on professional tours, there are as many great ways to teach players of all skill levels. As a golf instructor, Gabe has 5 years of experience working with professional and high level college players as well as with beginners. His passion for the game is contagious, and he looks forward to sharing his experience and knowledge with you. Heath McClandon was born in New Jersey and moved to Plano when he was 3. He began playing golf at the age of 10 among numerous other sports (baseball, basketball, track). Heath spent his summers at Pecan Hollow Golf Course; his parents would drop him off at 8:00am and pick him up at 7:00pm everyday. Heath decided to pursue golf full-time when he was a sophomore and received a full scholarship to play at Southern University in Baton Rouge, La. Heath was a member of the team for 3 seasons before transferring to New Mexico State University junior year. After college, Heath pursued a career in the golf industry beginning as an assistant professional and teaching instructor; he eventually worked his way to Operations Manager for Century Golf/Arnold Palmer Management. 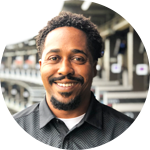 Heath has been in the industry for over 13 years, working at some of well-known and exclusive golf clubs in the country (Las Cruces Country Club; Painted Desert Golf Club, Las Vegas; Brookhaven Country Club; Frisco Lakes Golf Club; Preston Trail Golf Club; Cedar Crest Golf Course). 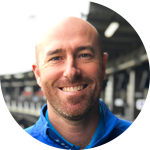 Heath has a passion for teaching the game of golf and works with everybody from beginners and juniors, all the way up to advance players and those students wanting to pursue college golf opportunities. He believes the game of golf is very similar to life - your purpose is to get from point A to point B and try to avoid obstacles that might hinder your progress. The game of golf is the same way; you might have an obstacle you must get over to finish your hole and accomplish your goal. It’s chess not checkers.